Isidore of Seville the Scholar and music theorist wrote in the 7th century that it was impossible to notate music. However a form of notation was developed in European monasteries for Gregorian chant using symbols known as neumes. The origin of these neumes seems to be the system for recitation of Christian Holy scripture, known as "ekphonetic notation" meaning quasi-melodic recitation of text. A similar system was used for recitation of Islamic texts. It is believed that neumatic notation first developed in the Eastern Roman empire which is plausible considering the plethora of musical composition and cultural activity in major cities of the empire (now regions of southern Turkey, Syria, Lebanon and Israel) at that time. A reformed form of neume notation exists in the Greek orthodox church to this day. 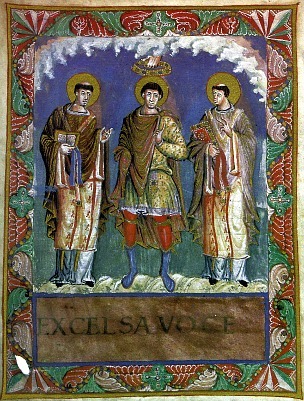 There is evidence that later around 800AD the earliest western neume notation was created in Metz, as a result of Charlemagne's desire for Frankish church musicians to retain the performance nuances used by the Roman singers. 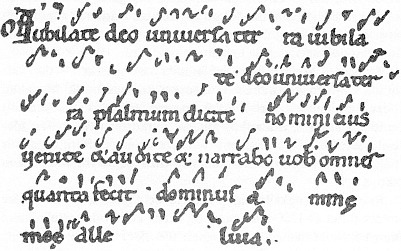 In the early 11th century Beneventan neumes (from the churches of Benevento in southern Italy) further developed the neumes whereby the overall shape of the melody was indicated by writing neumes at varying distances from the lyrics, and as such were called heighted or diastematic neumes. The neume system did not include any indications of exact pitch, and to address this a staff was introduced. Originally it consisted only of one horizontal line, to which other lines were added until a system of four parallel, horizontal lines was standardized. By their vertical position on the staff, marks indicated which pitch was represented, this being derived from a musical mode. He used the first letters of each verse to name the Solfège syllables: Ut, Re, Mi Fa, Sol, La, and Si. The one exception is Si, here the "S" of Sancte and the "I" of Iohannes was - note that used thus the vowels of La and Si are different, which negates the risk of verbal errors found when two adjacent notes have the same vowel. Later in the millenium, in the 1600's Ut was universally, excepting for France, changed to the easily singable, "open" syllable Do, said to have been taken from the name of the Italian theorist Giovanni Battista Doni. The neume system initially was developed purely to notate melodies and as such did not make any indications of exact rythm, and anyway the music generally followed the rythms of the Latin language. However, by the 10th century a system that represented up to four note lengths had been developed. At this point the notes' rythms were relative to neighbouring notes rather than being absolute rythms as we know today. Beginning in the 1300's the new mensural notation began to take shape wherein notes began to have fixed durations, this led to modern notation system. 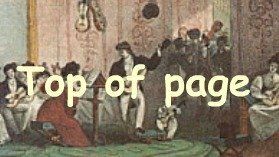 For centuries guitarists, like players of others plucked string intruments such as the lute, employed tablature notation. Other systems such as Alfabeto were also popular periodically. In mid-1800's some guitarists began using the treble clef (as is used for the violin) to notate guitar works. Foremost among these was Giacomo Merchi (1730-1789), an Italian who worked in France and England, in the former country the tablature system was almost completely replaced standard notation by 1760. These 18th century works were in the main for the 5-string guitar and are perfectly readable on a modern instrument, this repertoire is at this time an underserved part of classical guitar repertoire.